So, here is the ultimate architecture with angled roof in more advance wavy ceiling style. 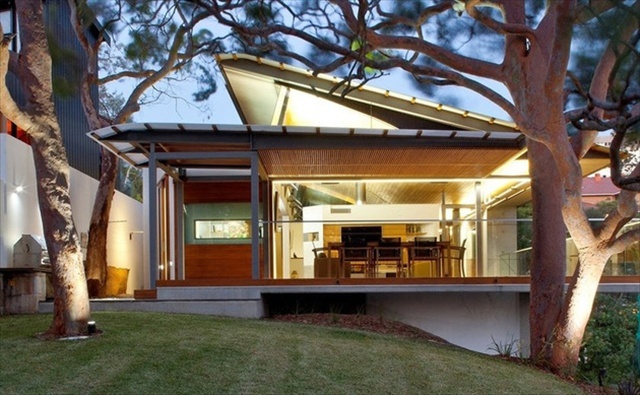 It is like a cave of modern house designed with multiple platform and canopy styles. 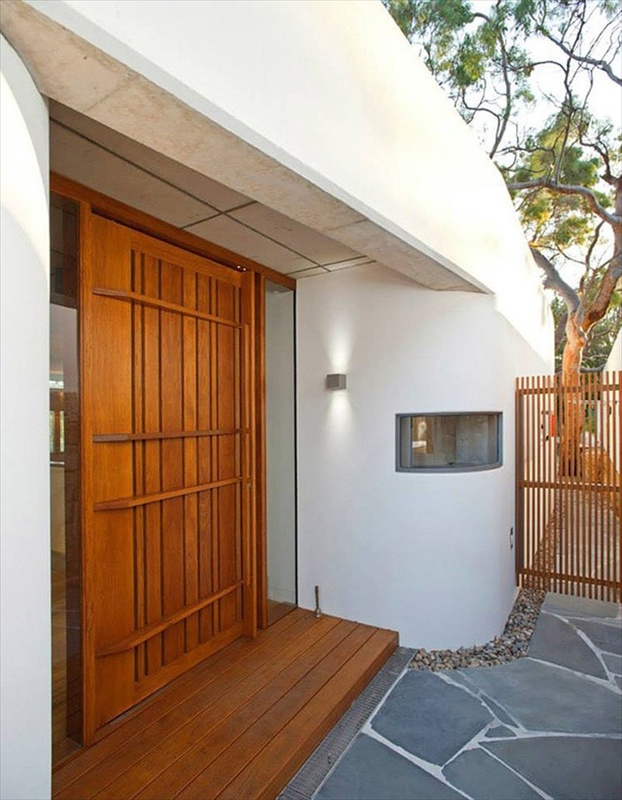 As you move forward towards the entrance a curved wall with ultimate designing leads you to the beautiful main entrance. 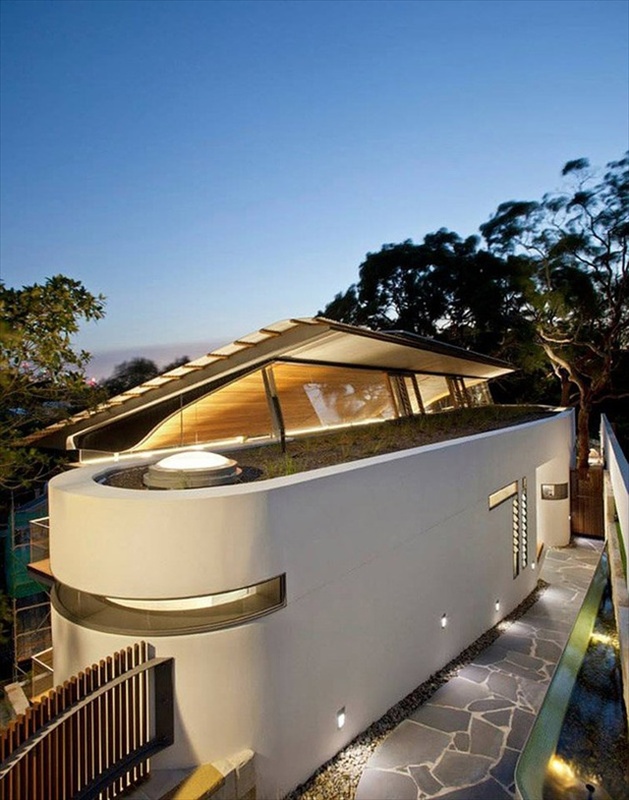 Maintained with top roof garden, beneath like angle provide complex and curious attitude. It is mandatory for your friends to not to go out without peeking in the beauty of this house. The tilted roof is with attached light and shape. 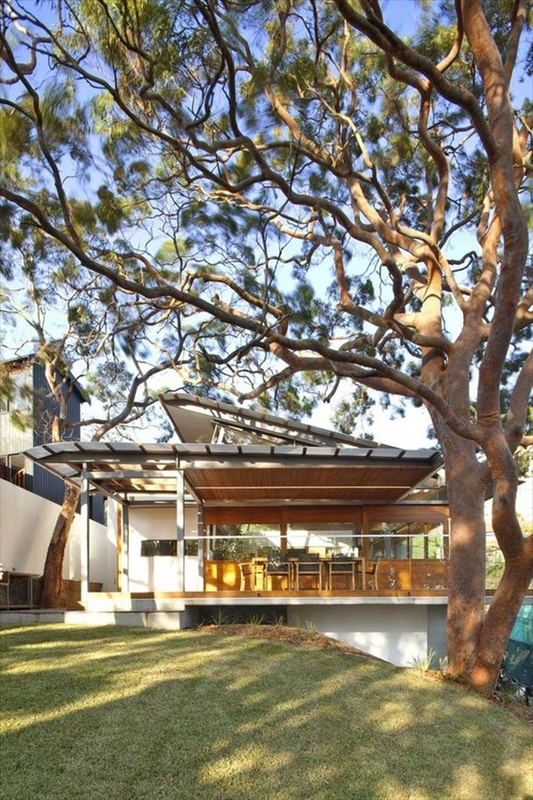 This bring invaluable interest to the beautiful exterior, both have contrast in value. 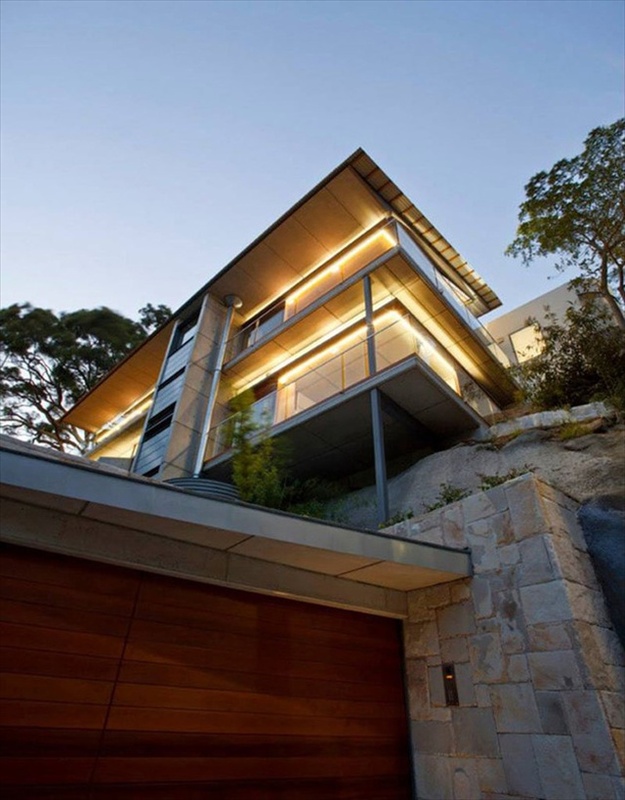 The house is situated on the edge of the escarpment this give the structure a more profound beauty with intimate guise. Its valley view and the precarious position gives the valley is managed with cliffs and windows. Open air balconies and long developed windows incorporate nature in it. The balconies are open to the windows with glass frames. You can add the full appreciation of wood craft into your home without any problem of or anything. With new glass exposure you can get the new look in one time. The color of interior is well managed and designed with new horizons.